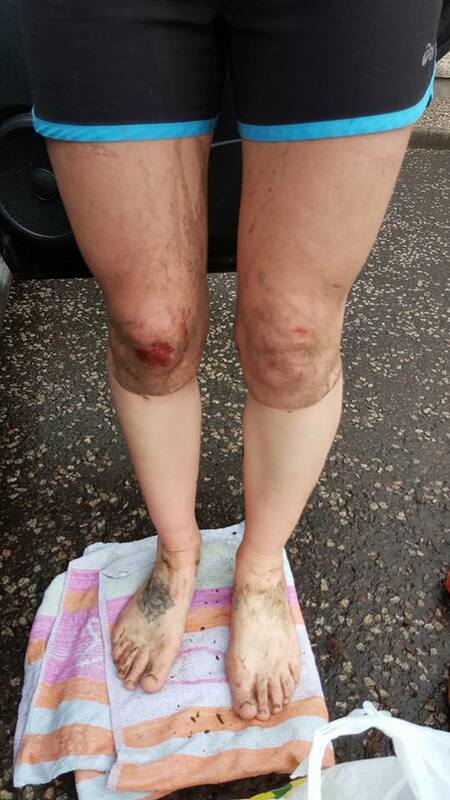 It was time to kick-start the racing season with some muddy fun. 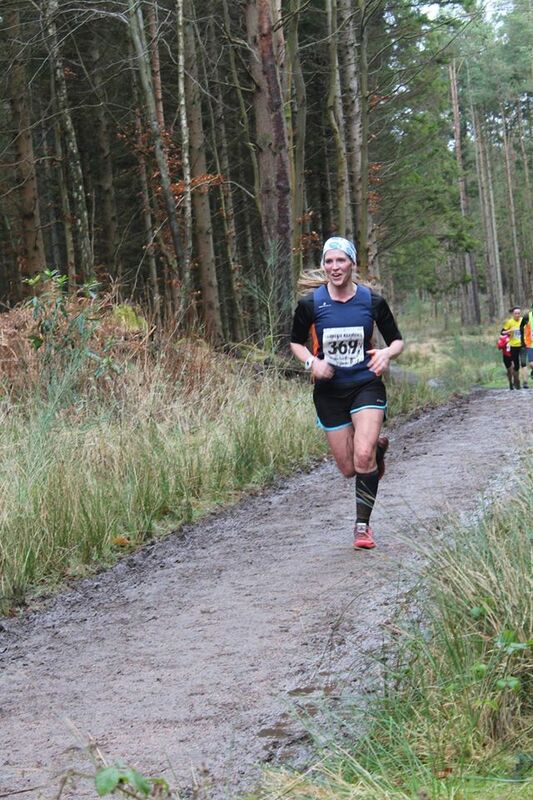 Devilla Forest is a beautiful location about 10 minutes along the road from Alloa and the 15km and 5km races hosted by the Carnegie Harriers is usually the first race in the season for many. The weather recently can only be described as abysmal. Last year the weather had been cold and frosty and the frozen ground and mud had led to a few near ankle twists, but this year there was mud. And lots of it. 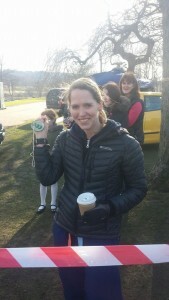 I’d arrived ridiculously early and after registering, receiving my memento of Schiehallion beer and sorting my kit, I had a cup of coffee and waiting about for everyone else to arrive. The weather on the day was dry but overcast but the past few weeks we had seen nothing but rain, so we knew what lay ahead deep within Devilla Forest. 11am came round and after a few team photos and well wishes, we lined up for a quick race briefing and then we were off. 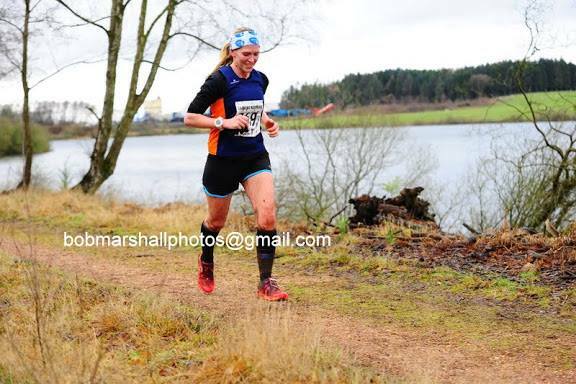 I’d started quite a bit further forward this year with high hopes that if I got through the first muddy section relatively early it wouldn’t be too bad, but how wrong could I have been! 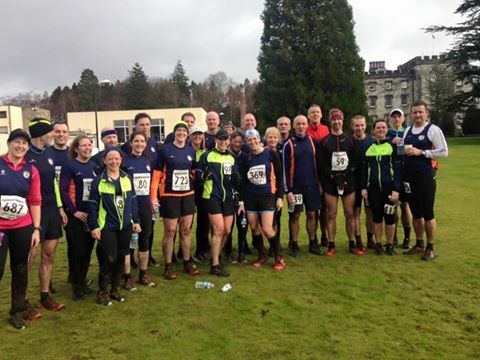 The course winds its way along the road through the grounds of Tulliallan police college before branching off into the forest after a few hundred metres. Straight away we hit the mud and straight away I was ploughing right through it. The field spread out and I still pushed on to try to gain a few places up the field before we entered the first narrow off-road section. The path was already churned up and trying to get by people was near impossible, so I just fell in line until an appropriate overtaking place became available. One poor lad tried a bit too early on to get by a queue of people and ended up tripping and face planting in the bog in front of me. He quickly got up but not after splattering mud everywhere, including all over me and right in my eye so I couldn’t quite see where I was going for the next few feet! Mud wiped off and the first of the slippery hills arrived. Like the race in 2014 the paths were so muddy it was hard to get your footing, and only those running in proper mud claw type shoes would have had any luck. By the time I was back on the forest track I felt so zapped of energy that I just couldn’t get my rhythm again. I felt like my strides were really short and my breathing slightly erratic – not the way I wanted to be feeling during my first race of the season and after I’d put in so much training through the winter! Soon we were on the downhill section towards the water station and where I’d felt super strong last year. All I wanted this year was to get to the top of this hill without walking and onto the downhill section on the other side! The sharp turn back down towards Peppermill Dam lead us into another mud bath and I teetered down the side of the path trying to avoid sliding down the hill on my bum! The section round the Dam had been changed as the bouncy bridge was now a few broken planks of wood, so an extra 300+ metres had been added on to the course. The only down side of this was that we now had an extra long slog up the incredibly muddy path at the other side, and this was where I actually stood aside to let a few people by as I was slipping all over the place and just getting in the way. Once through the worst of it we got to wash off our trainers in a knee-deep puddle and then it was onto the last 5km of forest track. I couldn’t have been happier to see the sign that told me I had 1km to go. I just had nothing left and I was a bit disappointed in myself in how quickly I’d been ready to give up. The forest spat me back out onto the road and with a last push I trundled over the line. My time was slightly slower than last year, but the course was around 0.4 of a mile longer, so I’m happy that I ran quicker over all, but not with how I felt when running it. To be fair, I’ve hardly put in any speed work over the winter months and with the big mile races looming I can’t expect to get better at speed and distance, but it’s definitely given me the shake I need to keep pushing through the training over the next few months and not to let my head take over when the going gets tough! Devilla, you won this time but I’ll be back for round 4 with some more appropriate shoes (possibly football boots) in 2017!! Loch Lomond on a beautiful still day. The last few weeks have flown by! Training is going pretty well and I’m still really enjoying it, but I can’t believe it’s now less than 5 months until race day. I’ve had a bit of a set back in the past few weeks as I’ve been taking part in my Exercise to Music qualification which has taken up my entire weekend for the past couple of weeks, but even though I haven’t been churning out the huge mileage I usually do at the weekends, I’ve been busy learning how to grapevine, boxstep and even Chasse (without crashing into the person next to me, which is a huge thing for me considering I’ve got 2 left feet!) and taking part in approximately 8 classes a day on every day of the course. It definitely counts as time on feet, even if I’m not running anywhere! My positives for the past few weeks -I’m feeling strong! 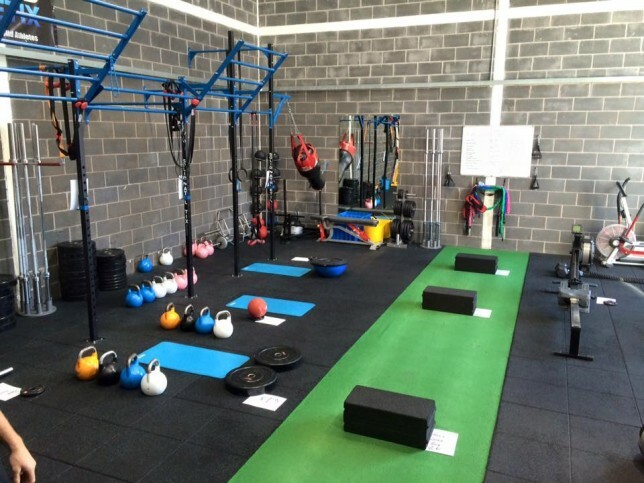 I started back at my strength and conditioning classes at Renegade Fitness in Stirling and I have some of the best coaches working along with my training programme and trying to get the best out of me. It’s working, I had DOMS for about 3 days after last Friday’s set and trying to perform my full routine at the ETM course for my mock assessment on Sunday proved somewhat hilarious!! The Renegade gym. All the fun of TRX, kettle bells, strength equipment and good old burpees! Monday 11th – Total rest. Well, running about after 3 year olds at work, but as rest-y as it gets on an average day! Tuesday 12th – 3 mile lunch run with the dog and then 7.2 miles of hill rep loops with the club in the evening. My coach pushed me hard on the last few and I felt empty but delighted at the end. Hills at speed are still not my friend, but they’re getting easier! 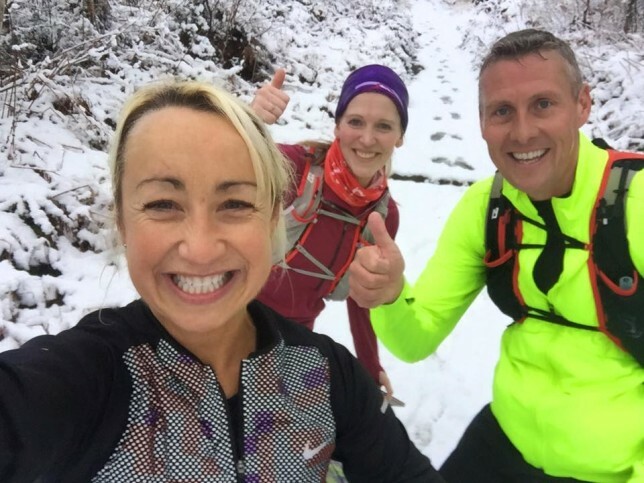 Wednesday 13th – it snowed again, so this run was lovely and slushy. 6.1 miles at about 8/min miles and managing to stay on my feet! Thursday 14th – 6×5 minutes at club training. 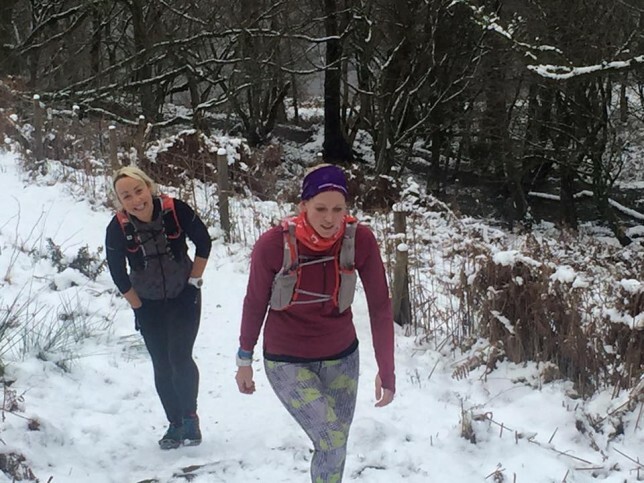 I wasn’t sure how I felt when I first got to training as it was FREEZING, so considered taking it easy, but ended up giving it about 75% and feeling good after. Didn’t get any warmer though as I wore shorts and it snowed… 6.7 miles averaging 7.51 min/miles. Saturday 16th – 8.1 miles on the flat at a reasonable pace. Still a bit icy, so being careful not to over do it! Sunday 17th – Went up to Balmaha for an out and back to Rowardennan with Karen Wallace and Derek. 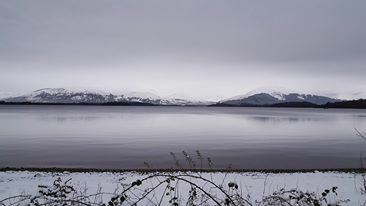 Amazing run in ankle deep snow – it was so crisp and quiet and the Loch looked like glass. A bit cold, but a fantastic run! 18.1 miles. Karen and I happy the loos were open!! 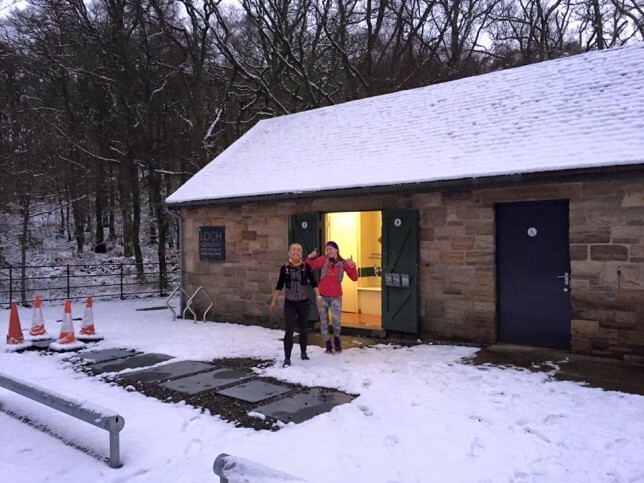 Hills and snow = tough training! I’m loosely following Bryon Powell’s programme (from ‘Relentless Forward Progress’) of training up to 70 miles a week for a 100 mile race, and every 4 weeks or so he fits in a cut back week. I’ll happily follow this as I don’t want to over do it and come race day have nothing in my legs, and if it’s recommended by an expert then it’s worth looking at. Tuesday 19th – A long over due crap run. I still struggle with winter training straight after work as all I want to do is go home, eat and lie down. So I went home, had some food and then decided to run. Terrible idea. I managed about 6 miles, but I felt sick for about 5 of them. I struggled on, knowing there will be a lot of hard miles on the WHW and I could feel like this a lot of the time, but gave up after 6 and went home. Wednesday 20th – Feeling fresh, I went for a speedy 3 miles at lunch time at about 7.30 min/mile pace. Thursday 21st – Felt great after work and made the decision to go straight out when I got home, instead of sitting down and eating something first. Had a brilliant 6.1 miles at a pretty fast pace and had to turn around and go home even though I felt like I could have carried on for much longer! Friday 22nd– 6.3 miles steady. Saturday 23rd – Got up early and ran 11.1 miles with Skye. Attempted yoga on my return. Sunday 24th Strength training in the morning followed by a steady 6.7 miles in the evening. I’m noticing a big difference recently. I’m tired, but I’m not wiped out like I used to be after a hard week of work and training. I look forward to my runs and every training session I find I’m trying to push myself further. Nights are starting to get lighter which is always a bonus, and before I know it, it’ll be light when I’m leaving work and I’ll manage to get a couple of hours training in after work while it’s still light. 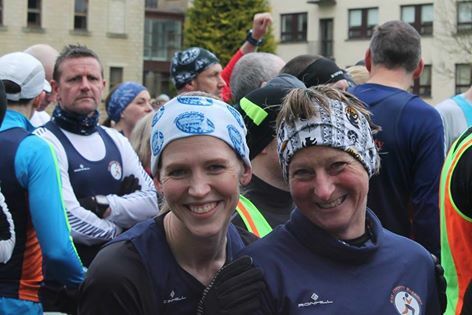 It’s only 4 weeks until the D33, 5 weeks until the Alloa half (which is already full and we have about 80 runners from the Wee County Harriers entered!!) and 11 weeks until the Fling. This year is going too fast and even though I’m excited about all the upcoming races, I also want time to slow down a bit as it’s now only 18 weeks until the WHW race. Looking forward to the first ultra of the season at the D33 and *hopefully* getting under 5 hours!